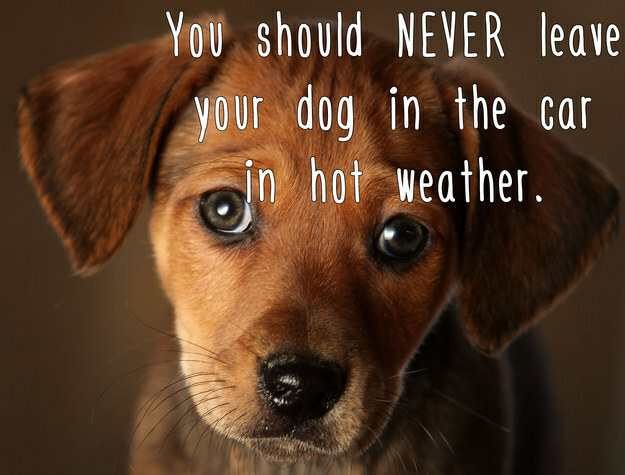 You’d think it would be common sense, don’t leave a dog or any animal in a hot car…not even for a few minutes. But every summer dogs suffer heat stroke or worse, die from being left in a hot car while the owner is away, “for just a few minutes”. So I want to remind everyone that a car can turn into an oven on a hot day & that can be fatal to anything inside. Leaving a window open a crack won’t help. Your best choice is to leave your dog home or have someone stay with the dog to walk it around while you shop. Some people will leave the air conditioning on but in many places it’s not legal to leave a vehicle idling. If you see a dog in distress in a hot car you need to act quickly. Call the police as they can legally break the window. Or call 310-SPCA (7722) for help. If you feel there is no time then break the window, I should point out this may not be legal where you live but in many places it is. You may have to deal with an irate owner & the police but you’re saving a life. Here’s a simple break down. If it’s 70 F (21 C) outside the car, then inside it will be 90 F (32 C) in just 10 minutes. 80 F (26 C) outside will be 100 F (37 C) inside & 90 F (32 C) outside will be 110 F (43 C). It’s also important to note that on a very hot day a dog should have access to shade & water at all times. Keep your dog inside if it’s a hot day. Be smart folks, remember “just a few minutes” is too long. It is so hot down here in Louisiana that it is crazy to leave a dog in the car. Yet, every summer I see where someone did the unthinkable and their pup paid the price. Great reminder. ← Happy Victoria Day Canadians!